Ralf Kesper (Fröndenberg, Germany) on 7 November 2018 in Business & Industry. There should be many rain in this region, it is an immense rain gauge!!! That is a very big one !! 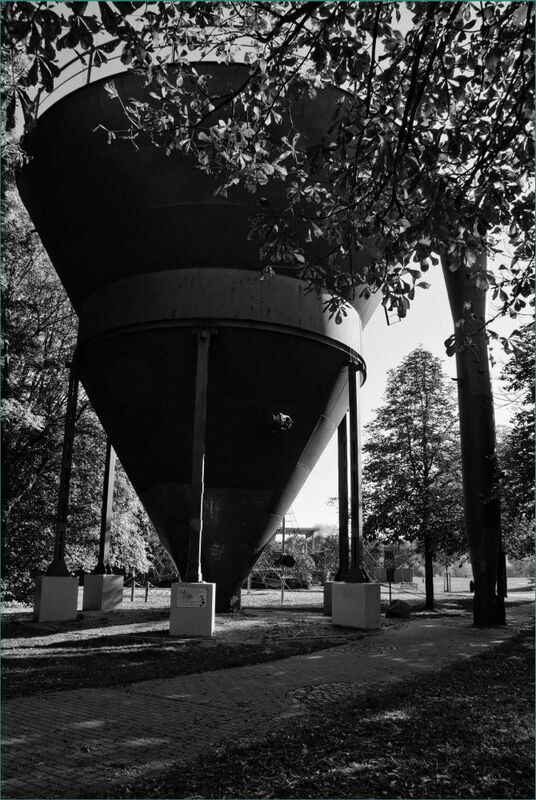 A great funnel in a park ... surrealist! Beautifully framed between autumn leaves. Quite a large funnel it seems. It almost looks like a rocket landed on its nose. A wonderful black and white image. Great point of view. That is the biggest funnel I have ever seen! an impressive shot indeed ! It is huge and looks like a piece of park art.